This paper reports the findings of a field study aimed at providing a better understanding of how and why managers of corporations with multiple divisions set the levels of achievability of annual profit center budget targets. The data, gathered from 54 profit centers in 12 corporations, show that most budget targets are set to be achievable an average of eight or nine years out to ten. This finding contrasts with the prescription made in most management accounting textbooks suggesting that for optimum motivation budget targets should be achievable less than 50 percent of the time. 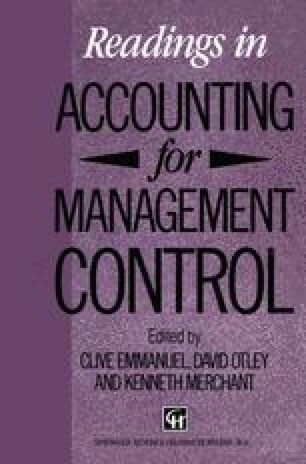 Managers maintain, however, that these highly achievable targets provide considerable challenge, and the high achievability actually provides many advantages, including improved corporate reporting, resource planning, control, and, combined with other control system elements, even motivation.